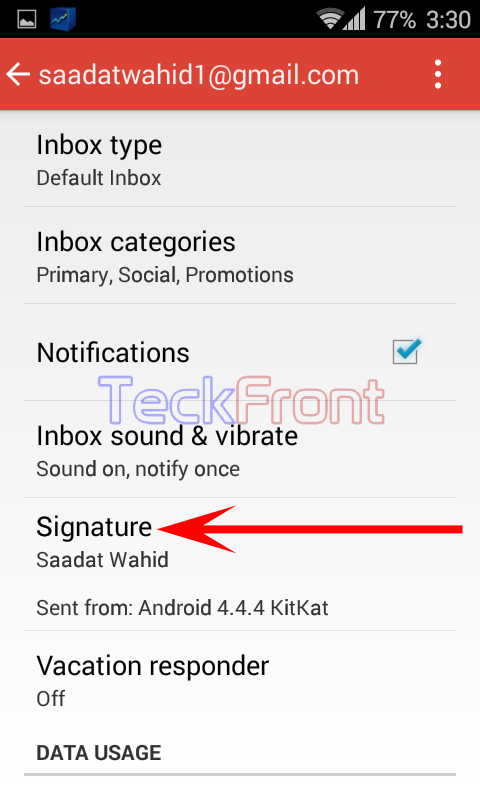 How to Set Gmail Signature in Android 4.4.x KitKat Device? 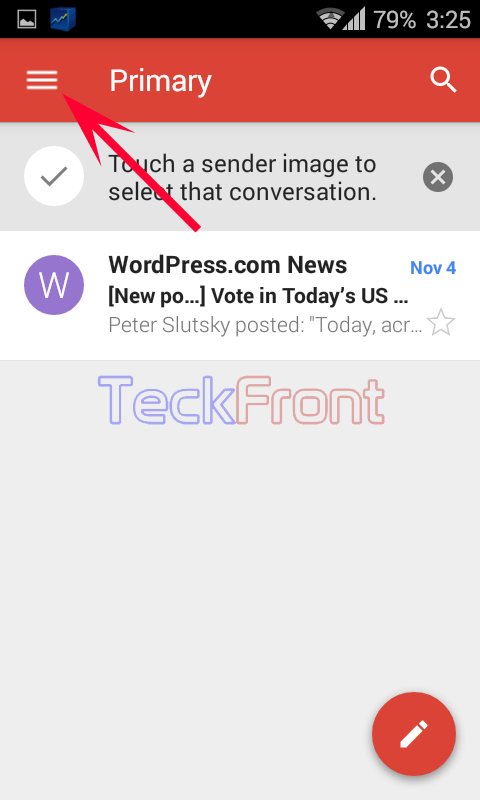 Gmail app is an app of Google, designed for the Android 5.0 Lollipop, to handle email communication with other Android and other mobile devices. You can download it and can run it on Android 4.4.x (all the updated Android apps can be run on Android 4.3 and 4.4.x). I run it on Android 4.4.4 KitKat. Overwhelming majority of the Android users use this app to send and receive emails. To download Gmail app, visit our article for the source link: Download the official Gmail 5.0 apk with Material Design and multiple accounts from Android Lollipop. For the tutorial on how to install apk files, visit our article: How to install .apk files on your Android device – Step-by-step guide. 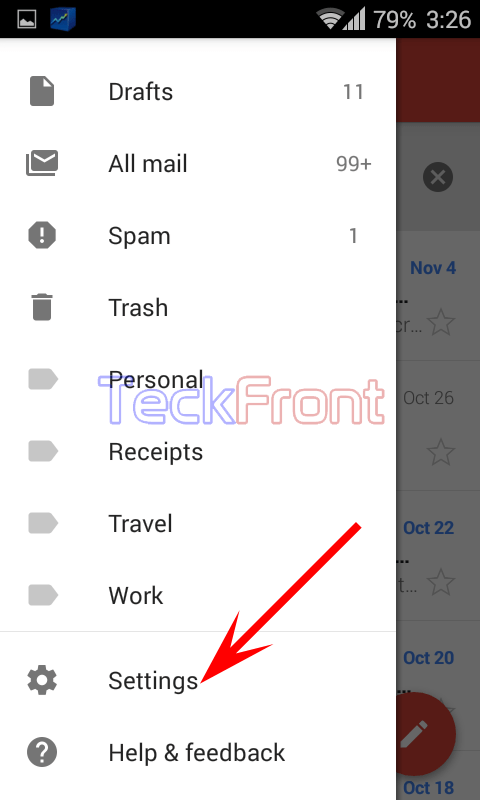 To make Gmail app a much stronger tool in the hands of the Android users, you may make some necessary settings in it. 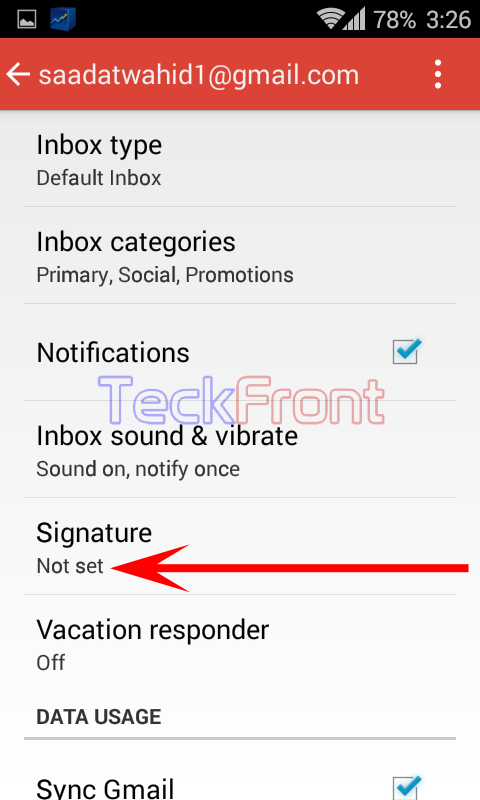 Setting or change in the signature is one of the settings which every Gmail user may desire. It is easier yet a very use full feature. Note: A signature is a written or typed details of sender’s name, nickname or other mark that a sender of the email writes on docs as a proof of identity and intent. Also ensure that your Android device is connected to Internet at the time of this setting. To set or change the signature, follow the instructions. 1: Tap the icon of ‘Gmail’ app at the Home screen of your Android 4.4.x KitKat device. 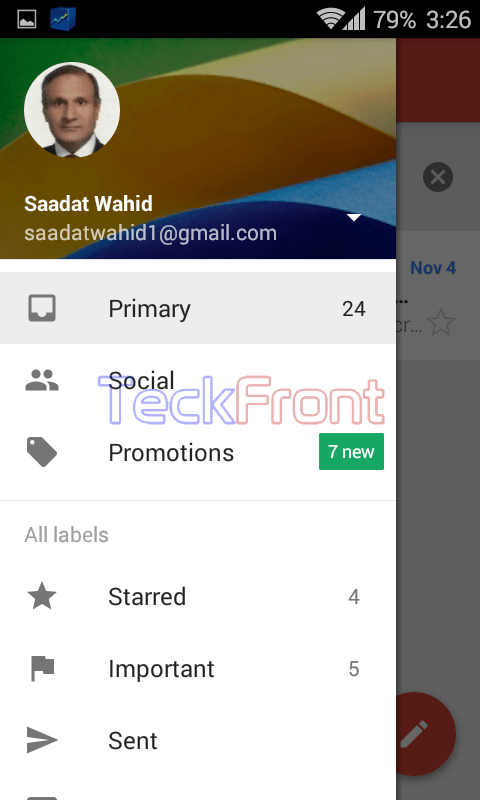 2: Tap the ‘Settings’ menu button, given at the top left corner of the ‘Gmail’ app screen. It will open up the ‘Settings’ menu screen. 3: At the ‘Settings’ menu screen, scroll down to the bottom of the creen. Here, tap ‘Settings’. 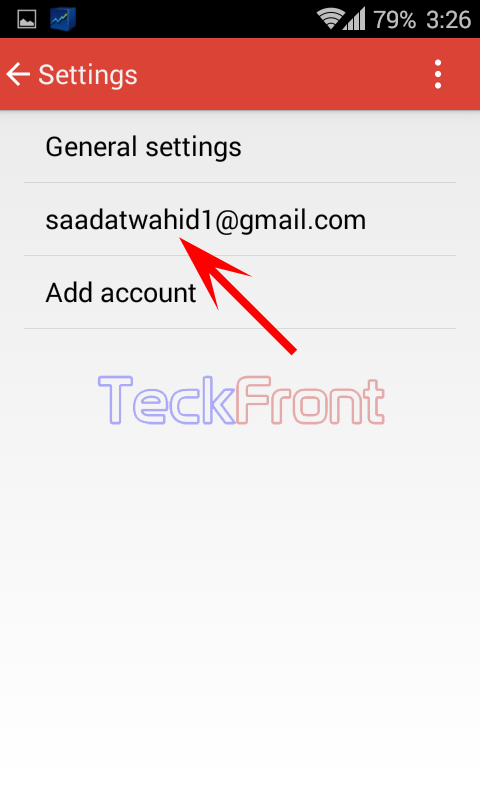 4: At the ‘Settings’ screen, tap the Gmail account holders’ email address. 5: At the Gmail account holders’ screen, see the status of the ‘Signature’ is not set. Tap it to set the ‘Signature’. It will open up a prompt, ‘Signature’, where nothing is written. 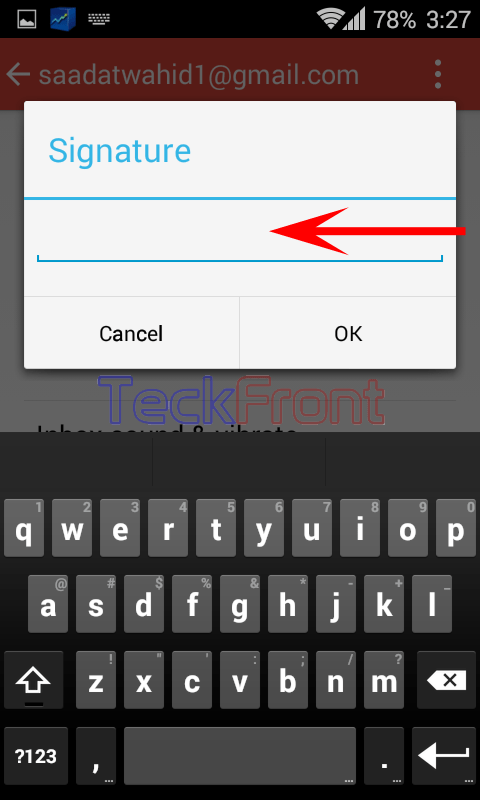 6: At the ‘Signature’ prompt, type to write the signature, i.e. your name (or nick name), your designation, your qualification or anything else, which you want to add to the signature and tap OK to save it. 7: See the status of the ‘Signature’ at the Gmail account holders’ screen is changed and an appropriate signature, set by you, is present there. Now, this signature will appear below the email message, sent by you to any one’ and you will not be required to write your name etc. at any doc, sent by your through Gmail app. 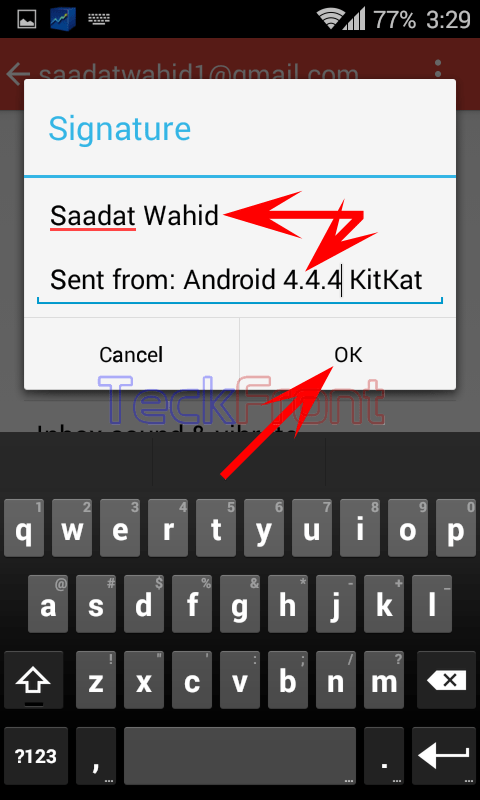 Older How to Enable Developers Options in Android 4.4.x KitKat Devices?